One of the most difficult things in running is coming to terms with yourself. Indeed, part of the reason we run is to avoid this task: how much easier it is to change ourselves, than to live with ourselves! The truly uplifting stories that are passed around in running mostly have to do with leaving old selves behind, whether that old self was a couch potato, overweight, slower, a slave to the tv or computer, etc. While it is true that these stories inspire, I think that perhaps the elation we feel when we hear these stories might also be a feeling of relief. In addition to wowing us, don't these stories also whisper to us a little lie: "You don't have to live with yourself. You can become someone else." We do have to live with ourselves. So, on behalf of this truth, I want to shift this lens of running as a practice of self-transformation a little. If running is about changing the self, making it better, it is also about coming to terms with the self, learning to live with the self we have, knowing--and even accepting--its limitations. This notion of acceptance is heresy in the running community. We see ourselves as the sort of Nietzschean supermen and women who overcome ourselves through sheer force of will and relentless effort. Isn't the whole point of this sport to transcend our limits--go higher, farther, faster? And then to measure precisely how much higher, faster, farther we've gotten? Even if we are on the downside of our running career, there is a tendency to theorize running as a kind of war against our limits. If we must come to terms with the limits, its only by raging against them. Fighting, we stall or reverse in small ways the inevitable decline. The values of running tell us that is important that we fight against this person that we have become and are becoming. Or else... what? Let's linger a bit over this question. 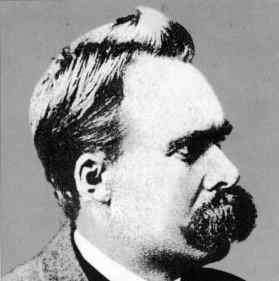 A century prior to Pre and Shorter, Nietzsche realized the importance of growing an enormous moustache. In addition to the concept of the self-transcending superman, Nietzsche wrote about amor fati, the love of destiny. This idea was just as central--perhaps more central--to his philosophical vision, but for reasons that have more to do with history and culture than philosophy, it is a concept that is infrequently discussed, at least in popular interpretations of Nietzsche's work. Indeed, for Nietzsche the very mark of virtue was not self-overcoming or transcendence but amor fati, the ability to love one's self, one's situation, and what one has become. This is true even and perhaps especially if what one has become was not really the product of a well-executed plan of control and had just as much to do with chance, genetics, the gods, talent or whatever other name we give to the idea of destiny. In other words, Nietzsche encouraged us to love the arbitrary nature of ourselves as much as the parts of the selves that we feel we had achieved through some measure of effort or enterprise. He thought that this was a primary task of self-care for two reasons. First, he was skeptical of the extent to which we could really discern the parts of ourselves that we had consciously and actively constructed from the parts of ourselves that we arrive at by chance. Second, he thought that the connection between love of self and the need for control that is at the root of the achieved self was highly problematic. 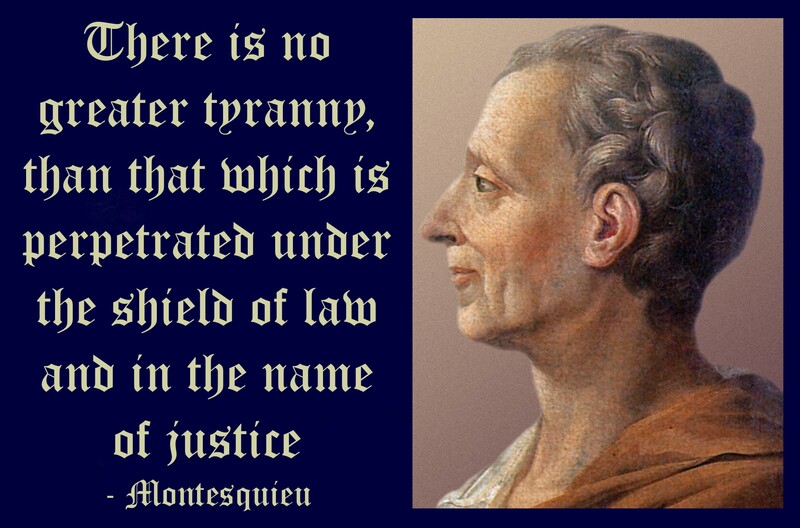 You see, wrapped up in the narrative of self-transformation is also a message about self-tyranny. Implicit in this narrative is the idea that we can control our destiny and eliminate the role of chance and fortune in life if we obsess a little more about the details, if we capture all the data of our lives and analyze it in the right ways. So we lie to ourselves, thinking if we give the body a particular sort of food or the right combination of workouts or make it suffer just enough, then someday it will rid itself of all of the inconvenient ways in which its capacities are beyond my control. The dream is that this wild and ornery and fundamentally recalcitrant self will finally yield to the great master of self that I envision myself as being--that superman of control beyond chance and fortune that we hope to become. then perhaps we can look to political philosophy as a model for self-government. What model of governing do we use on ourselves? The counter-narrative that Nietzsche puts in opposition to this dream of self-tyranny, is the narrative of amor fati. Through this idea, he attempts to open up space for relating with the self beyond incessant grasping for control. Nietzsche points us towards things like simple enjoyment of being alive, satisfaction with the capacities that one does have, affirmation of one's qualities and even the luck and fortune that led to those qualities. Nietzsche saw in the great urge of modern man to remake himself a great deal of self-loathing and hatred. It is this hatred that drives us from a practice of care to obsessive tyranny, from the task of learning to live with ourselves in fuller and better ways to the impossible and self-denying chore of becoming someone else. Every runner knows that inside of the self lies a whole multitude of conflicting impulses. We want to go on and we want to stop. We want to have courage and we want to give up. We want to enjoy our running and we want our running to hurt. We are thrilled by our achievements and we are relentlessly dissatisfied. There is no reconciling these conflicts. We are, after all, living and breathing and vital and imperfect organisms. We are the product of conflicting history and warring animal nature. If we understand the purpose of life in terms of self-control, we deny the plural, divergent, and dynamic nature of the self. Nietzsche shows us that the great challenge of life is not self-control, but living with and among this multitude of selves. Deleuze, following this Nietzschean line of thought, wrote that the origin of thought "is not an object of recognition ... but a fundamental encounter." This point of view of amor fati shifts the whole notion of self-transformation. Instead of transformation being a product of the control of an already recognized self, Deleuze and Nietzsche teach that transformation occurs through chance encounters with parts of ourselves we didn't even know we had. It strikes me that the task of self-improvement in the age of technological analysis, feedback, and control has very little to do with managing the self that we already recognize. The great challenge of self-care is having the courage and the patience to make encounters with the parts of ourselves that--for whatever reason--we have kept hidden from ourselves and might not even recognize as ourselves at all. What does this mean for runners? A friend of mine recently had a breakthrough in his racing. Though he had done some good workouts, it was hard to trace the connection between that race and his training, at least as it was represented in his running log. My suspicion is that the reason for this breakthrough was about a different kind of self-work, one that had little to do with self control, recognition, or transcending limits. It was the work of making an encounter with parts of himself that he didn't know he had. In other words, it looked less like self-transcendence and more like self-acceptance. After all, my friend had not become someone different. He had just become a better and more complete [not to mention faster!] version of himself. The primary affect of that transformation was not the cold face of mastery, but the human sentiment of joy. Hey Mike, thanks for reading. Cheers! I had to go back and read that twice. The part about attempts to transform ourselves actually being a manifestation of self-loathing really struck me. In the library where I work, some of the most popular books are pap "metaphysics" like The Secret--and I always feel bad for the people who think they will find the answers there. And yet, though I have no interest in reading that stuff, I know I have some things in common with people like that in terms of not liking who I am and wanting to be better than I am now. I do hope I've grown up enough to know that I can't be someone else (I'll never be a truly FAST runner, for instance). I like the idea of a good life showing balance between acceptance of what is and striving for something better (serenity to accept the things I cannot change vs. the courage to change the things I can--and of course as the old prayer says, the wisdom to know the difference). + 1 "Nietzsche points us towards things like simple enjoyment of being alive, satisfaction with the capacities that one does have, affirmation of one's qualities and even the luck and fortune that led to those qualities."